Roberta Ehrenberg, an LWV member for more than 50 years, celebrated her 93rd birthday recently. Roberta is also a past President of the Pennsylvania LWV. 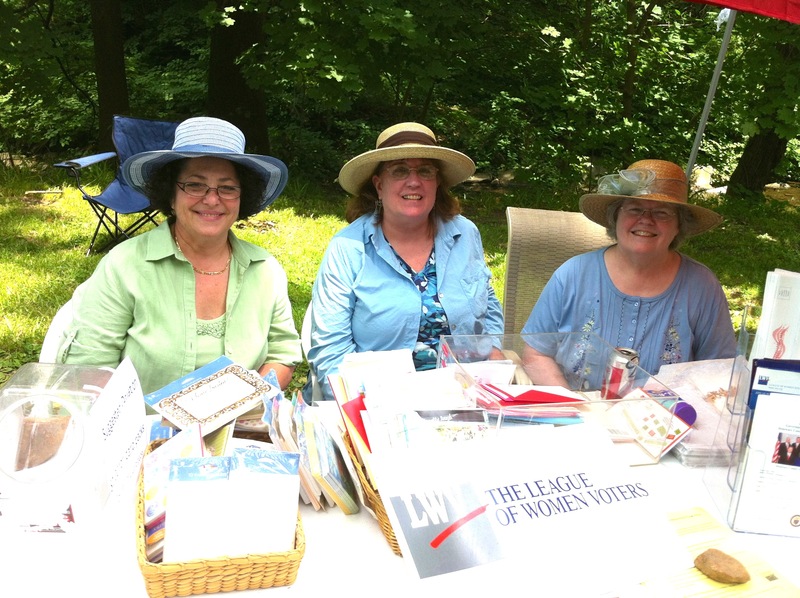 LWV-Haverford Township members provided voter registration and voting information during the June 2012 Haverford Twp. Heritage Festival on Karakung Drive. Representing the League were (left to right) Cathy Yungmann, Kate deRiel and Rosemary Kesling. League President Kate deRiel (left) presents awards to our 2012 Voting Essay Contest winners – first place winner Shannon Nolan (right) and third place winner Keyan Halperin (center). These Haverford High School graduating seniors wrote essays for an American Government class assignment about how to increase voter turnout. The certificates and checks were awarded in June 2012.